Lieu Time. To many employers, it sounds like the perfect alternative to paying overtime. Employees get the flexibility they’re looking for, and the company has an alternative to the requirement to pay them extra when they work longer than 8 hours a day or 40 hours a week. A win-win! Not so fast. If it sounds too good to be true, it’s probably because there is more to this story… While lieu time, otherwise known as banked time, or time off in lieu, does sound like a great solution to many companies’ overtime pain point, it comes with its own set of challenges with specific rules to follow. What is lieu time, exactly? 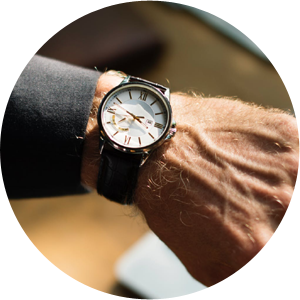 Lieu time allows employees to track time worked in excess of their regular hours and take time off at a later date instead of receiving extra financial compensation. In short, it offers employees flexibility and allows for a “give and take” approach to work hours – employees are allowed to flex their schedules and employers don’t have to shell out more cash for the extra hours worked or put a formal averaging agreement in place. While the concept seems simple, there are some important points to keep in mind before you jump on the lieu time band wagon. 1. Lieu time, or a time bank, must be mutually agreed upon. That means an employer cannot force an employee to take lieu time instead of paying them for overtime. Like an averaging agreement, establishing a time bank happens on an individual basis, so each employee should submit a written request agreeing to lieu time. 2. Lieu time is earned at the rate it is accrued. That means if an employee works overtime, the time must be banked at the rate it would otherwise be paid. For example, if an employee who regularly works a 7 hour day works 10 hours one day, they have worked 3 extra hours. That means that they would bank 4 hours total (1 hour straight time and 2 hours at 1.5x their regular hourly rate, because time worked after 8 hours a day is paid at 1.5x). 3. Lieu time should be tied in with your existing overtime policy. It’s important to put your lieu time policy in writing and put parameters in place to avoid confusion and disagreements over entitlements down the line. Your overtime and lieu time policy should specify what situations will and will not qualify for overtime and associated lieu time (Ex: travel time, extra hours spent to meet a strict project deadline, etc.). Thinking about creating a time bank or already offering lieu time as a “perk” instead of paying overtime? Take 10 minutes today to compare your existing policy with the pointers above to make sure you’re in compliance with legislation and ticking all the right boxes! Overtime and lieu time can be complicated to navigate, so if you’re struggling to create clarity around your policy, don’t hesitate to reach out for an expert opinion. Up Next: Struggling with on-the-job time wasting? Keep your eyes peeled in the coming weeks for Part 4 of our time management series – Presenteeism and Time Theft.